Ask any member of our faculty what they love about teaching at SIU, and I guarantee you’ll hear about their connection with students. Professors here have the immense advantage of working at a major research institution, and yet still having intimate classes that allow them to really bond with their students. The result is amazing collaborations, not just between faculty and graduate students, but including undergraduates and members of the community. Last month, the College of Applied Arts and Sciences hosted “Flashtalk 2,” a series of short lectures in which faculty from across campus introduced their research. This great event not only introduced the attendees to the amazing research we do here at SIU, but provided opportunities for the community to get involved with these groundbreaking projects. I love to see faculty members reaching out to form new partnerships and invite new ideas and perspectives. This sort of collaboration is what my proposed reorganization is all about, and is a way for SIU to remain relevant as the world advances. Small campuses across the country tout their small class sizes and individual attention. But few offer access to professors who are active, leading researchers in their field. SIU offers the best of both worlds. This means that students are able to actively participate in meaningful, cutting-edge research from the very beginnings of their education. 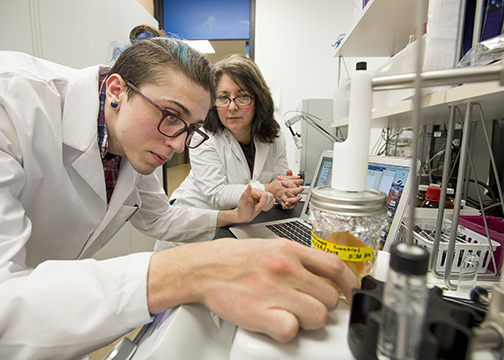 SIU undergraduates are working to create more efficient renewable energy, develop better ways to make anti-venom, and determine the impact of invasive species on the Mississippi River, among many other projects. Students are also taking the initiative to branch out into new areas. For instance, the Rocketeers of Southern Illinois just created a registered student organization dedicated to building and launching rockets. They placed second in their first Argonia Cup competition, and I expect they’ll continue to soar. While I love STEM, I am also a firm believer in the importance of a comprehensive education. That means at SIU, we expand our research focus to include creative activities. Our Department of Theater puts on six major productions a year, plus several smaller productions, allowing students the chance to perform, direct, design lighting and sets, and work on costumes and makeup. Mass Communications and Media Arts offers students opportunities to produce films, photography, or a range of digital media. School of Music lets students compose, perform, or teach a variety of musical skills, and School of Art and Design students work in more visual media than I can name, ranging from blacksmithing to water colors. The outstanding work of our Art and Design students was on display in April, during the annual Rickert-Ziebold finalist exhibition at the Surplus Gallery. Congratulations to Kelly Carter, Timothy Miller and Lindsey Perry, who are sharing the prestigious 2018 Rickert-Ziebold Trust Award. This all makes for a remarkable college experience with a variety of hands-on learning opportunities. Want to find out more? Take a virtual tour today.